To produce a range of high-precision parts for a myriad of industries. Because turnaround times are time, solutions need to offer maximum availability, reliability and flexibility. Use Fanuc-controlled Mori Seiki and Doosan CNC lathes, given FANUC’s reputation for reliability and advanced machining functionality. Huge operational consistency and availability. Fanuc controls, say Reimer, are always logically configured, have the most understandable layout and are incredibly reliable. "The quality of machines and controls is the basis for high-quality parts"
Precision machining achieves surface finishes that are a match for grinding. With quality and reliability, Alfred Reimer GmbH in Gronau has built up an excellent reputation as a producer of high-precision parts. To ensure that customers can rely on just-in-time deliveries and high flexibility, the managing directors pay close attention to a piece of equipment with utmost availability: FANUC-controlled Mori Seiki and Doosan machines are a dominant feature in the company's line-up of machinery. When Alfred Reimer established his "GmbH", or limited liability company, of the same name in 1984, he started out as a small turning operation in his own double garage in the town of Gronau-Epe. The company experienced rapid growth. Employees were hired and state-of-the-art CNC turning machines from Mori-Seiki were purchased. "In 1986, we took on a pioneering role in the field of 4-axis turning in Germany", recalls the owner's son, Rainer Reimer, who together with his sister Monika Zellmann, is running the business. Almost in two-year intervals, the up-and-coming firm had to seek larger premises or expand the production space. Finally, in the year 1992, the company built its own facility, existing today, with a 1,000 m² production space, including an office area, and moved in with some 20 employees. Driving the company's growth was the automobile industry, for which Alfred Reimer had been producing turned parts in medium-sized series since 1987. However, almost simultaneously upon moving into the facility, this mainstay of customers dried up, preferring to send its business to the east, as Rainer Reimer recalls. A reorientation in the market was necessary. The production of series parts was phased out. Since that time, Alfred Reimer GmbH has focused on small unit quantities in high precision. The next milestone year was 2004. At that time, the company founder handed over the helm of the company to his son and daughter. Rainer Reimer, a trained machining technician with additional commercial training, and Monika Zellmann, a banker by trade, had more or less grown up in their father's company. Already during their childhood, they wrote their first CNC programs. What began as a game became a profession for Monika Zellmann. Today, she creates the programs for the entire CNC fleet of machines. In the meantime, the new managing directors have made their imprint on the company: The product range today, manufactured on 3,000 m² of production and warehouse space, encompasses standard parts from 10 to 400 mm in diameter, serving myriad industries – except for the automobile industry. Rules were instituted to help prevent any dependency. For instance, no customer has more than a 30% share of sales, no industry more than 50%. But not everything is new. The company has held true to its principal of placing the highest value on quality and always being a reliable partner. Already at the beginning of the 1990s, Alfred Reimer GmbH launched its own quality assurance department next to the production line, which from the beginning was equipped with state-of-the-art machines and measuring instruments. Thus, the company was one of the first "small" contract manufacturers with a fully equipped metrology lab and a CNC-controlled 3D co-ordinate measurement machine. Rainer Reimer explains: "Quality is a core element of our company philosophy. It begins with our staff and continues with our equipment. Most of the employees have been here for over 10 years, and many of them even completed their apprenticeship with our company. It is thanks to their expertise that we can achieve utmost precision, for example, on complex turned parts with especially thin wall thicknesses." After all, the most important quality is the quality you deliver. In the line-up of machinery, the company's management relies on long-term quality. Above all, Mori Seiki machines are a prominent feature in the manufacturing facility. In milling operations, Reimer relies on a SH-500 and a MV-Junior, and for turning they have a total of 10 Mori Seiki Model SL-25 and -35 machines, as well as models from the ZL- and NL Series. As regards the brand selection, the company breaks ranks slightly with both Doosan Puma 400 turning centres as well as a Saeilo Contur and a Hedelius CB-60. With respect to the control supplier, however, there is a long-standing consistency: But for a few exceptions, they are all from FANUC. Rainer Reimer and Monika Zellmann are in agreement: "We have always been very satisfied with FANUC. Especially with respect to operational consistency. A FANUC control normally just doesn't fail, and should it actually ever happen, you can rely on the company's service, and usually it is up and running again within 24 hours. That is high value." Neither of them can ever recall a control failing completely. "A circuit board once", interjects Rainer Reimer, "yes, but it's normal for something like that to happen." Add to this the flexibility with respect to the machine operator. Nearly every employee is capable of handling each machine and its control. For the two managing directors, availability is the most important function that a control is required to fulfil. "Only then do the added features come into play", explains Monika Zellmann, "the cycles, the user-friendliness, the configuration, in a word: the functionality of the control itself. Everything plays a role. 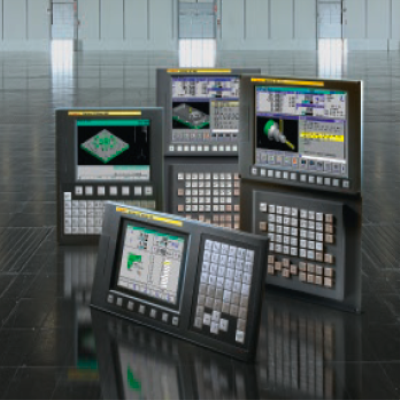 In my view, a FANUC control is always logically configured, has the most understandable layout, which is why for me, there are not many alternatives to it." Rainer Reimer adds: "It is not the CNC alone that speaks for FANUC. What makes FANUC so strong in my view is the reliability and availability of the drive components, i.e. the servo motors and amplifiers. In all those years, we only had one single fault." As an example for the sustained reliability of the machinery, Rainer Reimer points to a ZL-3, a 4-axis machine from Mori-Seiki, which has been in service for over 25 years. "I think that was one of the first 4-axis Mori-Seiki machines in Germany. Their FANUC control keeps on running – naturally a bit more slowly than the new ones – but it just keeps on running. We have never had any problems with the drive units either. And if you ask the colleagues, they really appreciate that", explains the company owner, with a wink. The significance of availability for both managing directors is reflected in many areas of the company. For instance, a well-stocked material warehouse, along with the company's own sawmill, creates the basis for ensuring that in emergencies, the requested parts will be delivered to good customers within 2 or 3 days. Also at the end of the process chain, Monika Zellmann and Rainer Reimer want to have a firm hold of the reins. With their own truck and a fleet of passenger cars, the company is always capable of delivering urgent parts immediately, and can handle material procurement and shipping of the finished products on their own, without being dependent on forwarders. Monika Zellmann and Rainer Reimer upheld this basic concept when they took over the reins of Alfred Reimer GmbH from their father, founder and namesake of the company in the year 2004. 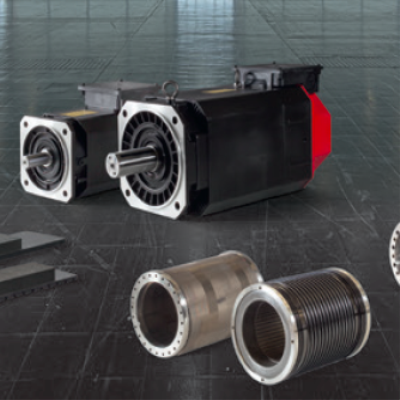 Core products are precision parts for the high-tech industry, in particular, accessories for wind turbines, stainless steel parts for the food processing industry, as well as various shafts for pumps and electrical motors. Production of parts is performed on modern CNC turning and milling machines. Moreover, the universal turning-milling and drilling machines, as well as and own sawmill, complete the line-up of machinery. As part of complete machining, Alfred Reimer GmbH also offers follow-up procedures such as welding, bending, hardening, grinding, gear cutting, grooving, as well as all surface treatments. With 28 employees, Alfred Reimer GmbH is seeking to achieve sales of 3 million Euros in 2012.